Scroll through the sections below for a complete list of venue services included in our all-inclusive package. Wedding on the Greens' all-inclusive wedding package is designed to reduce the stresses of wedding planning. Our package is well-thought-out and comprehensive. The following accommodations come standard with our all-inclusive package. ​Visit our pricing page to learn more about our all-inclusive package and customized options. Meet Sam, Wedding on the Greens’ amazing deeJay. He is flexible and friendly, so you can provide him with a list of songs to play at certain times, let him make all the decisions, or do something in between. Sam gets it done the way you want it done. He’ll also emcee your reception, ensuring your guests are informed, entertained, and in tune with the important parts of your special day. 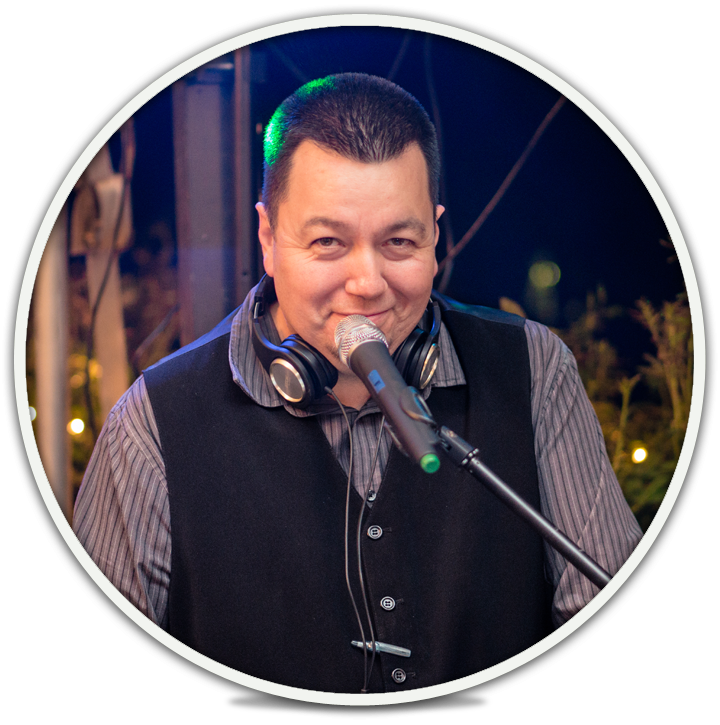 From the start of your ceremony to last the song of the night, our professional wedding deeJay will be there, creating the most perfect soundtrack to your big day. For more on Sam and his deejay prowess, visit Memorable Sound’s website. Wedding on the Greens’ package offers one of the best photographers in California. 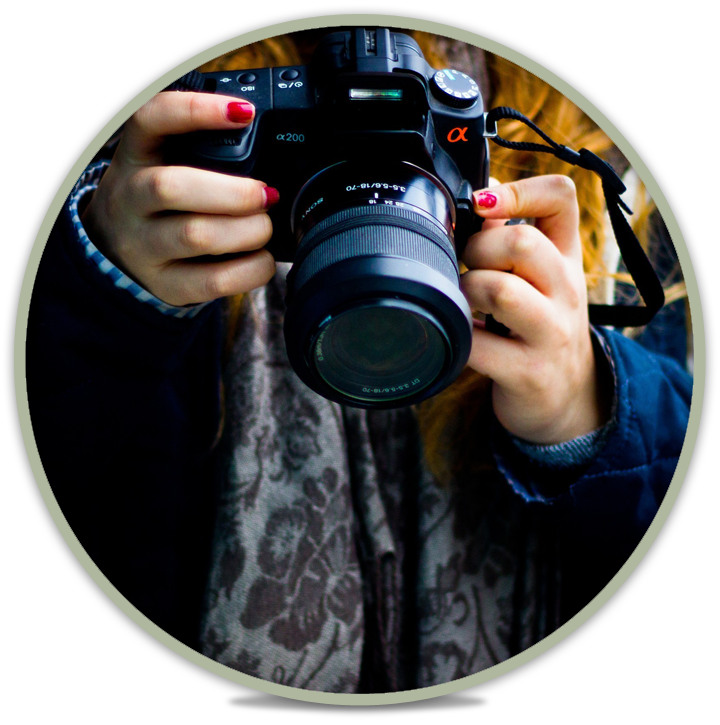 Mary is a college photography professor with over 30 years of experience in a wide range of subjects – the perfect photographer to record your perfect day. She will be with you the whole day so as not to miss anything. Mary’s photos arrive as fully edited, high resolution digital images along with reproduction rights, so you can remember all those special moments for years to come. Our Wedding Package includes all the flowers you need. Our package offers a selection of in-season flowers, such as roses, carnations, dendrobium. 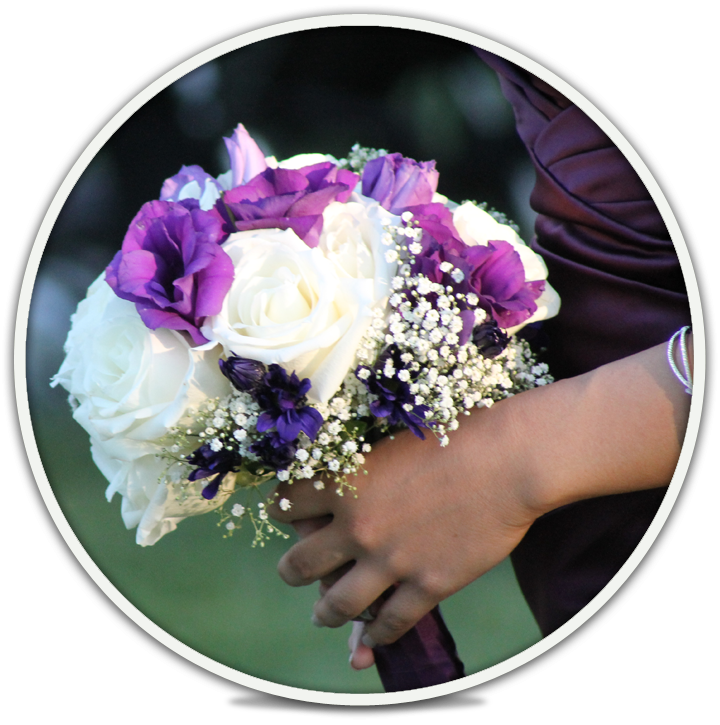 ​In addition to package flowers, our florist can also provide any of the following upon request: daffodils, orchids, iris, larkspur, lilies, lilacs, lily of the valley, peonies, sweet peas, tulips, calla lilies, dahlias, delphinium, hydrangeas, Queen Anne’s lace, stock, sunflowers, asters, chrysanthemums, zinnias, marigolds, daffodil, and ranunculus. You’ve done the hard work of finding the right person to marry, but who’s going to pronounce you husband and wife? Every wedding ceremony is a significant event in two peoples' lives, celebrating the love, unity, and harmony that mark the beginning of a new life together. Because your wedding day is uniquely yours, your wedding ceremony at Wedding on the Greens will reflect whatever religious or other preferences you and your fiancé designate. 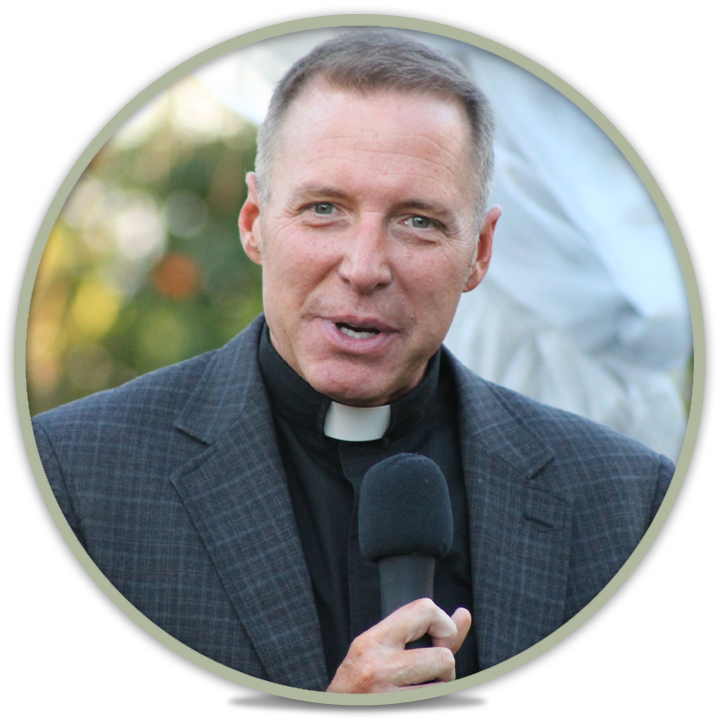 We accommodate based on your spiritual or religious preference in order to facilitate a truly uplifting and empowering ceremony that also speaks to the hearts of your families and friends. 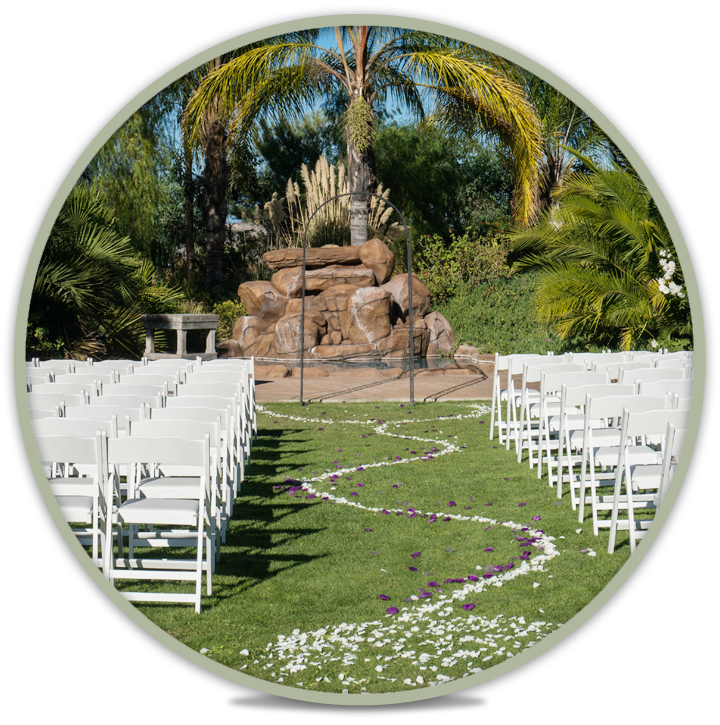 Your ceremony here should guide you into a lifetime of love, peace, and happiness, and we work hard to ensure that is exactly what happens. During receptions, we often overhear our guests say "Delicious! Amazing! Wonderful!" We have handpicked the best wedding vendors for our all-Inclusive wedding package, and catering is no exception. 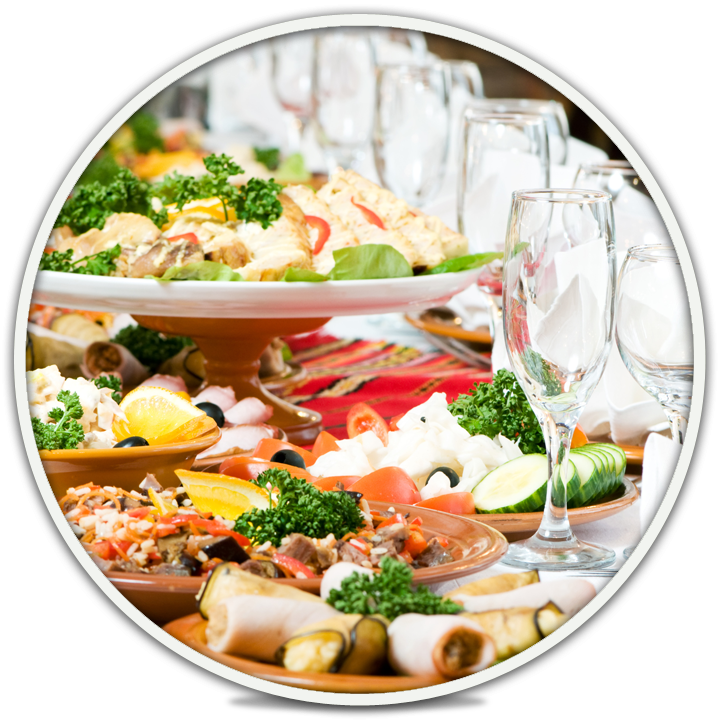 Our caterers offer an extensive menu for couples to choose from. You and your guests will appreciate the quality and taste of every item. Our included catering is a major reason the all-inclusive package makes planning your day at Wedding on the Greens so much easier! Our included customized wedding website streamlines communication between you and your guests. We want to help you focus on having the best wedding day possible, and we understand that communicating information to guests can be time consuming without a simple system in place. Wedding on the Greens has you covered! We build and host for each of our couples a uniquely crafted wedding website with everything your guests will need to know! All you'll need to do is give them the login information. Each wedding website has six personalized pages. We use the latest technology and coding techniques to ensure your site looks beautiful and functions flawlessly on any device. All of our wedding websites are password protected so only you and your guests have access. Click here to view a sample wedding website. Here's a flyer with more information.